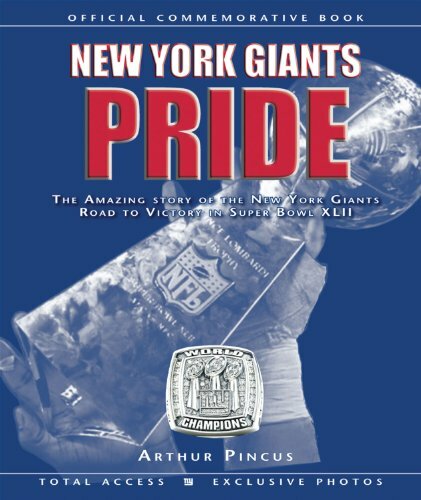 From Week 1 to Super Bowl XLII, this book covers the entirety of the New York Giants Super Bowl championship season. With more than 150 color photographs, many never before published, this commemoration highlights the superbly engineered scoring drive in the final minutes of the game that mattered most, one that will be remembered as one of the greatest in the history of the NFL. This is the story of a team committed to winning and its loyal fans who believed until the very end. Arthur Pincus is the owner of Arthur Pincus Media, a sports media consultancy. He has covered major sporting events for both the New York Times and the Washington Post and is the former vice president public relations for the NHL. He lives in New York City.